Mas Codina Brut Rosé Reserva 2013. Buy cava from D.O. Cava. Mas Codina Brut Rosé Reserva is a rosé cava from the Cava region produced by Bodega Mas Codina. It is made using only Pinot Noit grapes. The grapes used to make Mas Codina Brut Rosé Reserva come from vines that are between 20-50 years old, grown on calcareous andsandy claysoils. The vineyards used all belong to the winery. First the grapes undergo a selection process at the vineyard. The grapes are partially destemmed and cooled before being pressed. The must of Mas Codina Brut Rosé Reserva then undergoes racking for 18hours. This is followed by alcoholic fermentation of the grapes in stainless steel tanks for 20 days. There is then a second fermentation with selected yeasts. Mas Codina Brut Rosé Reserva then ages for 24 months at a controlled temperature of 16º. The Mas Codina estate was established in 1681 and is situated in the Alt Penedès region. Since its foundation, its facilities have been used to cultivate and produce wine. Cava Medium-dry Reserva. 24 months in bottle. Volume: 75 cl. Winery: Juvé y Camps. D.O. : D.O. Cava. Production area: Cataluña. Grapes used in this wine: Macabeo and Parellada and Xarel·lo. Cava Sweet Reserva. 24 months in bottle. Volume: 75 cl. Winery: Freixenet. D.O. : D.O. Cava. Production area: Cataluña. Grapes used in this wine: Malvasía. Cava Brut Nature Reserva. 24 months in bottle. Volume: 75 cl. Winery: Rimarts. D.O. : D.O. Cava. Production area: Cataluña. Grapes used in this wine: Macabeo and Parellada and Xarel·lo. Cava Brut Nature Gran Reserva. Volume: 75 cl. Winery: Mata i Coloma. D.O. : D.O. Cava. Production area: Cataluña. Grapes used in this wine: Macabeo and Parellada and Xarel·lo. Cava Brut Nature Reserva. 24 months in bottle. Volume: 75 cl. Winery: Naverán. D.O. : D.O. Cava. Production area: Cataluña. 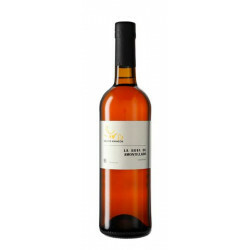 Grapes used in this wine: Chardonnay and Xarel·lo and Macabeo and Parellada. Cava Sweet Gran Reserva. 30 months in bottle. Volume: 75 cl. Winery: Gramona. D.O. : D.O. Cava. Production area: Cataluña. Grapes used in this wine: Macabeo and Parellada and Xarel·lo. Cava Brut Nature Reserva. 30 months in bottle. Volume: 75 cl. Winery: Roger Goulart. D.O. : D.O. Cava. Production area: Cataluña. Grapes used in this wine: Macabeo and Parellada and Xarel·lo. Cava Brut Reserva. Volume: 75 cl. Winery: Mas Codina. D.O. : D.O. Cava. Production area: Cataluña. Grapes used in this wine: Xarel·lo. Cava Brut Nature Reserva. Volume: 75 cl. Winery: Mas Codina. D.O. : D.O. Cava. Production area: Cataluña. Grapes used in this wine: Chardonnay and Macabeo and Pinot Noir and Xarel·lo. Cava Brut Nature Gran Reserva. 36 months in bottle. Volume: 75 cl. Winery: Mas Codina. D.O. : D.O. Cava. Production area: Cataluña. Grapes used in this wine: Chardonnay and Macabeo and Pinot Noir and Xarel·lo.